As the medical community continues to delve further into the field of Alzheimer’s diagnosis and treatment, scientists and doctors have been proposing new potential causes. A recent study published in September 2014 in BMJ (formerly known as the British Medical Journal) found a possible link between Alzheimer’s and sedatives taken by older adults for insomnia and anxiety. The case-controlled study, conducted in collaboration by researchers at multiple universities in France and Canada, aimed to investigate the relationship between Alzheimer’s risk and administration of benzodiazepines beginning at least five years before diagnoses. It involved 1796 participants from the Quebec health insurance program database who had their first diagnosis of the cognitive condition and had been regularly seeing a doctor for at least six years prior. These people were matched with 7184 participants of varying ages, sexes and duration of health care prior to diagnosis. All participants were over the age of 66. 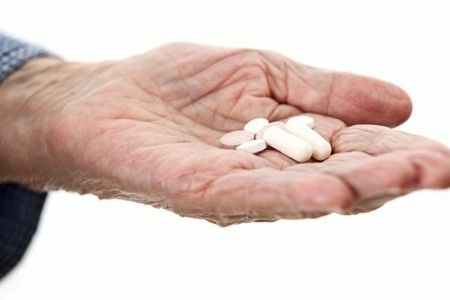 The French and Canadian researchers found that seniors who were prescribed benzodiazepine for more than three months were 51 percent more susceptible to the cognitive condition, as opposed to those who never took the medication. Those who had been exposed to higher doses of the anxiety and insomnia medication has exponentially higher likelihood of developing this form of dementia. However, these studies do not conclusively state that the drugs directly caused the condition – only that there is a link between the two. As lead researcher Dr. Sophie Billioti de Gage noted in the study, it may be that early stages of Alzheimer’s cause insomnia and anxiety, prompting the use of these medications. What does it mean for seniors with Alzheimer’s? These findings may change the way doctors approach treating older adults with anxiety, and those living with anxiety and dementia. As Billioti de Gage noted in the study, health care professionals should think twice before prescribing this drug to older adults. “For people needing or using benzodiazepines, it seems crucial to encourage physicians to carefully balance the benefits and risks when renewing the prescription,” Billioti de Gage. The American Geriatrics Society has already been warning health care providers of putting seniors on benzodiazepines, as they can increase the risk of confusion, accidents and dizziness. In fact, as the society reports, falls, hip fractures and car accidents leading to hospitalization and even death can more than double among seniors on benzodiazepines. People with Alzheimer’s may be better of undergoing alternative, natural treatments for anxiety and insomnia, such as therapy, under the recommendation of a health care provider. If you have a loved one experiencing anxiety and living with dementia discuss all of your options with their physician. Or speak with one of our nurses as the Aegis Living community near you.